More then 500 exhibitors will once again be presenting their offers at the Tourism & Caravan Trade Fair Leipzig with a richness of information on international, national and regional destinations and show visitors the different forms of traveling. We were looking forward to the presentation of our project work during the TC Tourism and Caravan from 21 to 25 November in Leipzig as part of the stage program in hall 2, booth 2K30. You could have used the project presentation on our stand in hall 2, 2G43 - alaturka.info / camper-route.de. As part of our project to develop gentle camper and outdoor tourism on the Balkans, we show that the "respect" of many travelers to choose the Balkan route on their way south are no longer appropriate. However, these prejudices were the key criterion for us to develop a partially guided camper tour through Albania, Macedonia and Greece, which includes both historically interesting cultural assets as well as the activities of hiking and cycling, in order to establish contact with the respective local population for preparing the trip to the south of the Balkans, which will lead to multi-day stopovers in the countries (topic wintering in the south). We also participate in the stage program of the TC Leipzig. The TC stage is located in hall 2 (booth 2K30). In addition to topics related to holidays, cruise and ship travel as well as bike & outdoor, especially the area Camping & Caravan is strongly represented at the holiday fair. All well-known brands are on site and present the novelties of the coming model year, from van to the liner. In addition, the accessories and technology area offers a comprehensive range, whether awning or new heating system, the exhibitors have the right products on site. 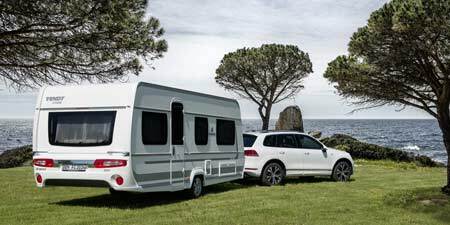 The offer of the travel fair is rounded off by advice for self-builders and year-round campers and not least thanks to attractive presentations of numerous campsites and destinations. In addition, countless tourist offers from tour operators and holiday regions, shipping companies and wellness hotels, suitable equipment and products from the two-wheeler sector are included in the program of tourism fair TC. An attractive supporting program with entertainment on the show stage and exciting worlds of adventure, action and celebrity star guests, makes the visit to the Tourism & Caravan in Leipzig to an eventful and entertaining holiday for the whole family. The trade fair city of Leipzig is one of the oldest trade fair locations in the world with an 850-year tradition. Goods fairs took place mainly in the city center. With the transition from the goods fair to the model fair in 1895 and lack of space in the city center, the 50ha large Technical Fair, now also called Alte Messe, opened in the early 20th century in the southeast of Leipzig, not far from the Völkerschlacht monument. The 50ha Old Fair was completely replaced in 1996 by the twice as large and state-of-the-art New Fair in the north of the city. The two current exhibition grounds, the Leipziger Messe in the north and that of the agra in the south, are the two fairgrounds (each with exhibition halls) of the city of Leipzig. Just the much more well-known and meanwhile also larger exhibition center of the Leipziger Messe in the north of the city is meant when the Leipziger Messe is mentioned. And just the Leipziger Messe has an international significance. The glass hall of the Leipziger Messe is 238 meters long, 80 meters wide and 30 meters high. It was created in collaboration between the architect's office of Gerkan, Marg and Partner and the architect Ian Ritchie. The steel and glass arch construction is compared to the "Crystal Palace" by Joseph Paxton for the first World's Fair in 1851 in London. The glass hall of the new exhibition center received the Outstanding Structure Award of the IABSE in 2000. The glass hall serves logistics and accompanying and reporting events during fairs, for example for publicly accessible television studios and talk shows. But it can also be used without the adjoining exhibition halls for general events with up to 4500 people.